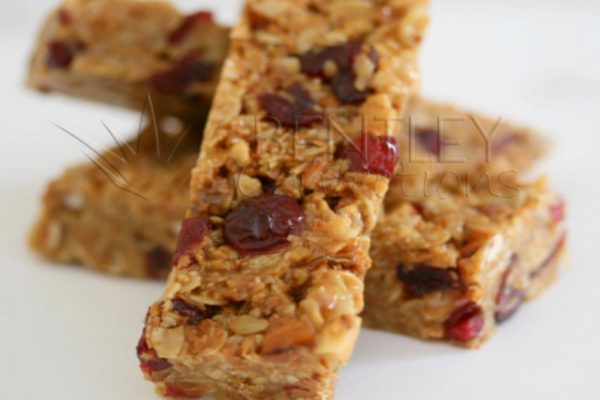 Come see us at Rodhe's Monday June 4th to taste this delicious "Almond Cereal Bars"! Get free recipes and everything you need to make this easy treat for your family! We made this with Great Berry Bran Flakes which are on sale at Rodhe’s thru June 21, 2018. 2 Tablespoons chopped, unsweetened dried cherries or your favorite dried fruit. In a medium microwave-safe bowl, microwave the almond butter and honey on high for 30 seconds, then stir until well blended. In a large microwave-safe bowl, combine the cereal flakes, O’s and cherries (fruit). Microwave on high for 1 1/2 minutes, stirring every 30 seconds, until warmed. Gradually stir the almond butter mixture into the cereal until thoroughly and evenly coated. Press into prepared pan. Refrigerate until set and firm.